Specialization in the project: aid in returning relatives from cults; lectures and practical trainings in psychological security; expert testimony. Co-chairman of the Latvian Committee for Combating the Totalitarian Sects. Psychologist, has a Master degree in psychology. Victor Yolkin has completed graduate studies at the Moscow State University, and is currently preparing for defending the thesis on sociopsychological abuse in totalitarian religious groups. He has published several articles and made presentations on the issue of totalitarian cults. Since 2004, he has regularly consulted friends and relatives of cult followers in order to rescue the latter from social and mental abuse. Mr Yolkin reads lectures and leads practical trainings in various governmental and non-governmental organisations. 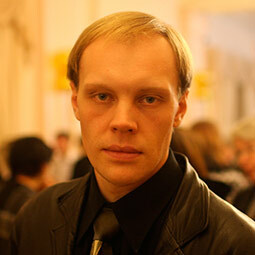 He has produced expert testimony for cult-related trials in both Latvia and Russia. Victor Yolkin had consulted officers of Latvian law enforcement on the peculiarities of cultic psychology. For more than 20 years, he has published extensively on the issue in Latvian media, and since 2012, he periodically gets invited as an expert to Russian television.